E.W. Cousins is extremely proud to offer furniture restoration services by its in-house team of experienced professionals. Using traditional hand methods and techniques we are able to deliver unique and bespoke services specializing in French polishing, antique restoration and repair. Our Antique restoration specialist is able to help restore an item to its original use whilst keeping its natural patina, using quality materials so the end result has the same original, unique, look and feel. The extensive knowledge and experience of our professionals reflects in the skills used to enable us to offer the exceptionally high standards we are well renowned for within the trade. 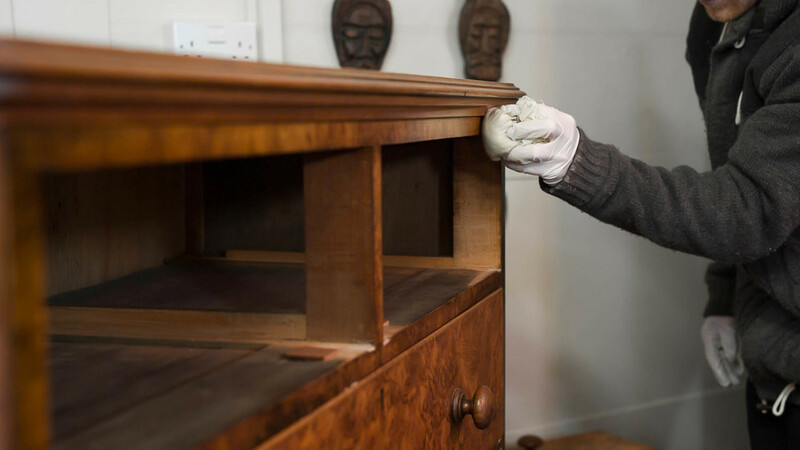 Our French polishing specialist can revive and enhance the colour of your furniture and ensure it is fully restored and protected so that it will maintain its look and condition for many years. Working within the trade and private sectors we are able to offer not only services to private clients and residencies but also to commercial properties such as hotels, restaurants and public houses. All services can be carried out at our in-house workshops or on site. If you require any further advice or assistance regarding your restoration requirements please do not hesitate to contact us.